What’s better than G*d’s Own Caliber? Three times G*d’s own caliber!!! 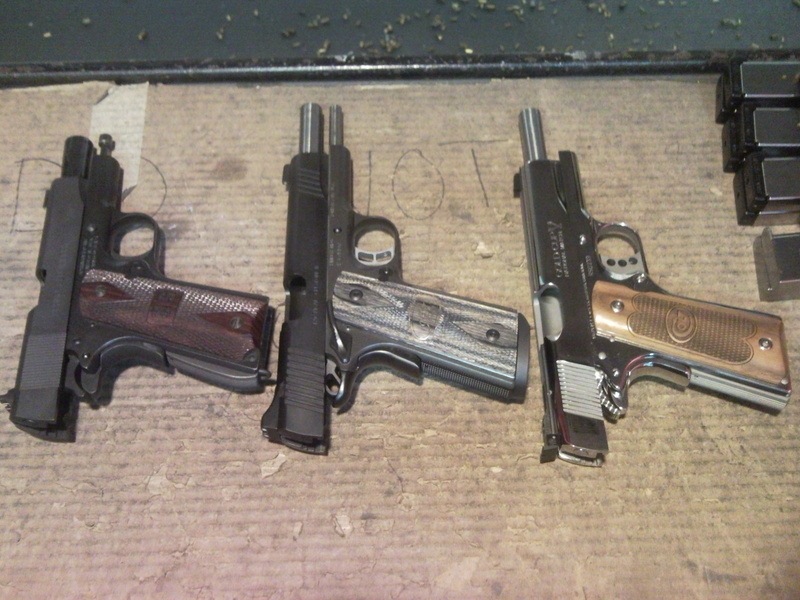 This is what you get when two of us bring 1911-style fun to the range… From left to right: Springfield, Kimber, and Colt.